for his mate and grandson, plus harm to himself. The amount of evidence that was suppressed by a bias Judge. It is a case where the Judge should have recluse himself. buzzard behavior of the person shot. the actions of the past. behavior, that was not allowed before the Jury. Meth he was addicted to). stated to Kim, David’s mate, that he would kill them all. opposite of the criminal back ground & actions of Bill. at David’s house, threatening them. had called the Police on three occasions & no one showed up. He told me how he had helped Bill out, and could not understand, why Bill was harassing and threatening him and his family. reasoning with him on such a rampage ne was on. Our experiences with Dave, and his family. I began my Police Career at Lakewood Police Department. we took coffee & lunch breaks. My son was friends and classmate of Kelly brother to David. My daughter was friends and classmate of David. still in defensive mode, and fear remained. My wife & I became friends with Dave & Kim at Tim Horton’s. any way. He is a humorous individual, and FUN to be around. with-in our group several knew both David and Bill. They will tell you Bill should have been back in prison. and half asleep in the jury box. I now understand the reasons why we need Justice reform. results and conclusion of a uninformed jury. Jewish-American organized crime emerged within the American Jewish community during the late 19th and early 20th centuries. It has been referred to variously in media and popular culture as the Jewish Mob, Jewish Mafia, Kosher Mafia, Kosher Nostra. State, all things corrupt connected to NYC’S 20 th District. The Zionist Syndicate began in Russia in 1917. Zionist Jews wanted their own Country, and decided to get it. The actual Jewish People were against taking land by Force. Holocaust against the Jewish people. began their occupation as a Jewish State. Zionism, and the active Genocide against the Palestinians. work with in your State, and Federal Governments. WHO OWNS & EDITS YOUR NEWS. 89 Dual Citizens in the USA Congress alone. foreign aid, and spends in the Middle East. TWENTY TWO TRILLION, $22,000,000,000. And Climbing. delivered by our members of the SWAMP. daily by a false Ally. USA Congressional Democ-rats, and Zionist Israel. Hillary Clinton’s dear friends and her dossier ? THIS DOMAIN FOR SALE- Due to illness !! PRICE REDUCED TO $25k FROM $85k , GREAT STUDENT PROJECT. Soon after WWII, U.S. statesman Dean Acheson warned that creating Israel on land already inhabited by Palestinians would “imperil” both American and all Western interests in the region. Despite warnings such as this one, President Truman supported establishing a Jewish state on land primarily inhabited by Muslims and Christians. Few Americans today are aware that U.S. support enabled the creation of modern Israel. Even fewer know that U.S. politicians pushed this policy over the forceful objections of top diplomatic and military experts. As this work demonstrates, these politicians were bombarded by a massive pro-Israel lobbying effort that ranged from well-funded and very public Zionist organizations to an “elitist secret society” whose members included Supreme Court Justice Louis Brandeis. Against Our Better Judgment brings together meticulously sourced evidence to illuminate a reality that differs starkly from the prevailing narrative. It provides a clear view of the history that is key to understanding one of the most critically important political issues of our day. List price: $9.93. Nonfiction, paperback, 260 pages. Order on Amazon, Audible, Barnes & Noble, or Better World Books. For discounted bulk orders, please contact books@ifamericansknew.org. AIPAC-connected officials are about to launch yet another pro-Israel political action committee, “Pro-Israel America,” which will be be targeting smaller donors. It hopes to give pro-Israel candidates from both parties at least $2 million in the 2020 elections. It has already endorsed 27 candidates. While the Israel lobby, which consists of hundreds of organizations, is known for billionaire donors such as Sheldon Adelson, Haim Saban, Norman Braman, Paul Singer and others, Pro-Israel America (PIA) will be specifically targeting smaller donors. According to a strategy document obtained by Jewish Currents, PIA’s goal is to recruit 10,000 donors to give around $200 each, so that it can contribute at least $2 million to pro-Israel candidates from both major parties during the 2020 campaign cycle. The new group’s executive director is Jeff Mendelsohn, who served as AIPAC’s director of outreach from 2005 to 2016. Also on the group’s founding board are Jonathan Missner, a Washington lawyer who previously led AIPAC’s national affairs office, and Emil Pitkin, the CEO of the political research firm GovPredict (one of whose clients is AIPAC). While AIPAC isn’t officially involved in PIA, Jewish Insider reports that according to the strategy document organizers plan to officially launch it at AIPAC’s national convention this weekend. WANT LESS BIAS NEWS ? GO TO FOX NEWS !! On two separate days this week, federal agents apprehended more than 4,000 unauthorized immigrants crossing the border—the highest daily total recorded in 15 years. “CBP is facing an unprecedented humanitarian and border security crisis all along our southwest border — and nowhere has that crisis manifested more acutely than here in El Paso,” McAleenan said from the Texas border town. Could Trump close the border? The Washington Post reported last year that the president could deny asylum to unauthorized immigrants at the border using emergency powers, similar to his 2017 travel ban which was upheld by the Supreme Court. Should Trump close the U.S.-Mexico border? How should the U.S. address the “humanitarian crisis” at the border? Should Trump’s national emergency declaration focus on the unauthorized immigrants rather than a physical barrier? Take action above and tell your reps, then share your thoughts below. 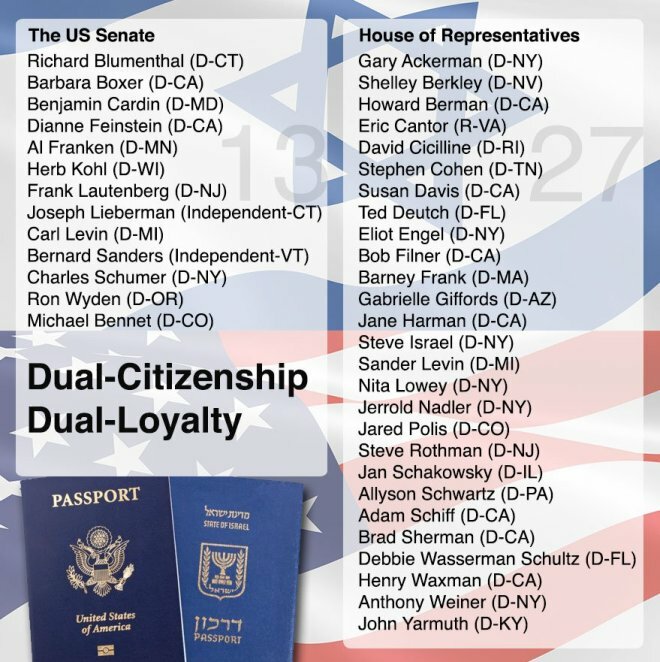 Dual Citizenship with Zionist Israel, Congress members. The members that have told all the lies to we the people, that have a conflict of interest, loyalty, and allegiance between America & the illegal occupation of Israel. The foreign policy that has nearly bankrupted America, along with total objection to any immigration reform. the democ-rats have been devastating for America with their spending and we end up with A National Debt of $22 TRILLION. We now have a National Defense Budget of $717 BILLION, which is used to protect other Countries with 300 foreign Bases. Not one of them contributes to it. Israel has no national Debt, with our congress handing over our tax dollars as a gift, which if anything should be a loan. Campaign funding, which also needs reform, congress gladly hands it over and does what is now demanded, because of that security of knowing such outrageous cost are covered. was/is a Witch Hunt by the democrats, and the Zionist owned bias MEDIA BOBBLE HEADS. Pay attention Just think, $42 Million wasted by Mueller and the Democ-rats on a wild goose chase. a clear thinking moral person could agree with them on..
we the people to show our support and APPRECIATION for all he is doing. MAKE AMERICA GREAT AGAIN—AS IT WAS PRIOR TO 1948.
in the latest scandal of corruption by major universities, such as Yale & Georgetown. the Major CRIMES committed by Hillary Clinton. pull the weight of responsibility to do what is needed. Democ-rats have SELF-DESTRUCTED over the past few years. THEY HAVE SOLD US OUT FOR PERSONNEL GAIN—IT CAN’T BE DISPUTED BY ANYONE. policy based on peace, human rights, and respect for international law. MAKE AMERICA GREAT AGAIN !! THE GREATEST PRIOR TO 1948 ! 1_ Prior to Politicians losing their moral compass ! We all are witnessing today. with no realization or connection with us, the United States Citizens. 10 Back when America was loved, and Government had more then one Ally. Republicans that are part of the 89% of Congress that are Dual Citizens and the “SWAMP”. How-ever, the entire Democrat party, owned by Zionist George Soros, AIPAC, and Israel. money sent to Israel in return. Spending very little on the needs here in our Country. of this CONGRESS and the likes of SCHIFF & band of TRAITORS. Listed here for your benefit–THINK. Do we have a President that will tackle the real conspiracy & collusion. Or is it another SCAM, another President that has sworn ALLEGIANCE to the illegal occupation , human rights violators, and genocide of Palestinian People. Check out IF AMERICANS KNEW, JEWISH VOICE FOR PEACE, ANTI-ZIONIST RABBI’S, and all ANTI-ZIONIST ORGANIZATIONS, READ WHAT THE TRUE JEWISH PEOPLE ARE TELLING US ABOUT IT !! The United Nations issued a detailed report about Israel’s actions. No Trump-Russia conspiracy, and not sufficient evidence to prosecute the president for obstruction of justice. The only conspiracy, and obstruction remains with Adam Schiff, and the rest of the Dual Citizenship with Zionist Israel, Congress members. Look at the cost of the continued attacks on President Trump, with the Mueller, Schiff attack Commission for the last two years, which only proves President Trump’s claim that it was/is a Witch Hunt by the democrats, and the Zionist owned bias MEDIA BOBBLE HEADS. Someone will make a fortune that makes BOBBLE HEADS of angry Adam Schiff, Pelosi, Schumer, Radler and other Politicians. Plus media people like George Stephanopoulos, Wolf Blitzer, ETC. Just think, $42 Million wasted by Mueller and the Democ-rats on a wild goose chase. ” IT WAS A WITCH-HUNT” which as IDIOMATIC as it is Democ-rats continue making complete “JACK-ASSES” out of themselves as usual. I can never find an issue anymore that a clear thinking moral person could agree with them on..
President Trump has stuck to his promises all along. Make America great again. NOW it is time for we the people to show our support and APPRECIATION for all he is doing. Do away with dual citizenship in our government positions. Also, investigate all graduates working for our government that have their credentials from Georgetown or any other college Involved in the latest scandal of corruption by major universities, such as Yale & Georgetown. Will Homeland Security order it ” BRUSHED UNDER THE CARPET” like they have with the Major CRIMES committed by Hillary Clinton. Every group, organization, Christian Church, Civic club. Including B,D,S. need to pull the weight of responsibility to do what is needed. Jewish Voice for Peace: Is a national member driven organization dedicated to a U.S. foreign policy based on peace, human rights, and respect for international law. Baruch Goldstein, a Jewish settler, opened fire on worshiping Muslims in the Ibrahim Mosque at the Tomb of the Patriarchs in in the West Bank, killing at least 39 people before being overpowered and killed by Worshipers . Israel is always the aggressor, killing anyone in their way, They are Thieves, Liars, killers,Smiling while picking your pockets. Anyone who dislikes their actions, voices such, or calls them out on it, are Anti-Semitic. character to discredit their credentials. of Corruption & Control, including all major Media. Government is being Colonized by Zionist Illegal Israel. between AIPAC, Israel, and our Congress and staff. their Districts. They accept aids, staff, etc. as provided. concerns as we do. Check out the Anti-Zionist sites. they publish once in a while. The Dual citizens with-in our Congress are always passing or attempting to pass legislation to protect them and their Corrupt Lobby AIPAC. The Congressional PAY MASTERS, Masters of Deception, and Largest Campaign Contributors. 89 of our Senators and Congress hold dual citizenship citizenship with Israel we are in Syria because of Israel ask yourself who is the real traitors to the country sacrificing American soldiers for the benefit of foreign country. Here is a list of US politicians who have dual US/Israeli citizenship. Note the head banking and policy advising positions. Why is this allowed? It is not allowed for regular US citizens to have dual citizenship, is it? I think this type of thing is allowed because “Israel first” Zionists essentially own our government, which is because the Rothschilds own the central banking system and have money creation powers and they promote Zionism. So you play by their rules, or you don’t get big money access. This is why most industry monopolies are headed by Zionists. It’s not a random chance thing that the tops of most all industries are super gung-ho about Israel. This is also why they get the most aid, and why they have the biggest lobbying groups. And to be clear, I’m not talking about Jews, half of whom reject zionism. I’m talking about the ideological belief system, that says the Israeli government deserves to own Mt. Zion, aka that Palestine needs to be removed and regional security for Israel needs to be ensured in the middle east. Obama is a Zionist, Biden is a Zionist. Bush is a Zionist. So is Hillary, and Trump, as their AIPAC speeches showed quite clearly. These big bankers need to stop being able to pull everyone’s strings, but that won’t stop until people realize their money creation abilities are based on legal narratives that come from false hopes and the false appearance of authority. The government should be able to create its own money, not borrow from a private bank in a debt-based money creation system where there will always, mathematically, be more debt owed than money exists, which gives them power over the government because they are the debt collectors. The whole thing is an absurd farce to anyone who sees the truth of it. There are only FORTY names on this list. Why? I agree that there should not be any, but I cannot pass this list on if it is inaccurate. Anyone holding dual citizenship should be prohibited from Senate and House appointments. Which is it 89 or 89%? That’s two different things. It is 89, the 89% was a typo. We need to completely upend the entire government, Israeli or not, as very nearly 100% of them are complicit with the jews in jewing things up, taking goys for granted. The information provided here is easily verified. Wikipedia usually has an “Early Life” section on each person’s wiki page, wherein you can find evidence of jewish ancestry. The jewish problem becomes more clear once you realize that it’s jews like chuck schumer who are behind the immigration invasion, false flag attacks, sexual perversions and the general moral decline of Western nations. When people talk about the “elite”, “globalists”, “bankers” or any similar term, they are referring to jews and their pro-zionist puppets. Should universities be more transparent about their admissions process? Same Corruption as Government. ” THE ZIONIST SYNDICATE” BDS only Answer. In fact, Harvard came under fire just last year for discriminating against Asian-American students. But Harvard’s discrimination scandal didn’t have the “sticking power” of juicier stories, and the establishment media stopped covering it — just like every time affirmative action and the corrupt admissions operation get attention. Who owns the bias media, where have the journalist & politicians received their credentials. We all know the golden eggs end up in the same non-American BASKET . Universities and campus activities, run a muck with corruption by the same elites as our government same Zionist people. Georgetown, one of the largest scams, and of course the one most government staffers & employees come from. You will also find that majority will have Dual Citizenship and alliance with Israel. AIPAC involved with such and scholarships given out. How many foreign students are getting slots over our tax paying American citizens students. No media will report on who is and where the connections lead to. Corruption is corruption and it all leads to the same Zionist syndicate & foreign interest policy. It’s exciting to see that now many Americans are supporting Palestine as never before! In fact, this is so pronounced that yet another Israel Lobby entity has been created to try to stop this groundswell. Please help us continue to counter Israeli lobby propaganda and persevere in our groundbreaking work to educate the American public. Your donations are fully tax-deductible. They are what make our work possible. Thank you for your wonderful help! Syndicate in charge of all things. NO democracy or Constitution. National Debt. With $9 Trillion missing from the Federal Reserve ? the way started in Communist Russia, by Russian Zionist Jews. lives & limbs by our Military, Loss of Trillions (7) by us. financing for their puppets in our Congress. WE OWE ISRAEL NOTHING, THEY OWE AMERICA for EVERY THING. America doesn’t get any respect from ZIONIST ISRAEL. The only solution to the problems in the Middle East is by SANCTIONS. see WAR as a solution. $727 Billion WAR Chest, We have to find one. Israel always sets us up for one. IRAN is their next Choice. WATCH !! False flag operations, over & over again!! What we as voters need to do: HELP MAKE AMERICA GREAT AGAIN!! for the benefit of WE the PEOPLE. no matter which side of the Isle benefits. LOL. Gadsden flag as our logo. one side, Gadsden Flag on the other side. I was also appointed to President Trump’s advisory Counsel. becoming a prisoner in the White House as the Obama’s had. Again, I have received several Photo’s and correspondence from President Trump, appreciating the work done. today’s government. Federal and States. lobby Chapters in each State, Foreign Lobby AIPAC. Washington, DC and the Democrat Party. Site & Domain for sale to highest bidder. SURE you can trust the government ? JUST ASK AN INDIAN . AUDIT THE FED—$ 9 TRILLION DOLLARS MISSING ! Student organizations on all major Campuses. National Counsel of Churches, Now Sanction Israel. We all together are Trump’s base that keeps him at a 46% approval rating. TAX dollars to foreign Countries that have no national Debt, such as Israel. Until our infrastructure, and our Security Wall is built or rebuilt..
We no longer can be silenced, we will fight to maintain “OUR” Constitution..
and all its Amendments. TRUMP IS OUR PRESIDENT, and will remain such. on my own time & expense, I never ask for donations, or help. prior to 1948, and returning to it is what will make America Great Again. will destroy America and the entire universe. like the covered up attack, on the USS Liberty. the Middle East? They are in every aspect of our government presently.